Getting your roof damage repaired is of the utmost importance, considering that your roof is an essential part of your property. Sometimes, though, you need to identify whether your roof problem can be addressed by a simple repair or if it will need to be replaced. Skyline Contracting offers a few points to consider before deciding on a roof repair or replacement. First, identify what type of damage there is. Are you experiencing leaks during rainfall? Are there pests or critters living in your attic and damaging your roof? Or, is it just a matter of normal wear and tear? Of course, it is important that you check your roof regularly to make sure that it’s in good shape. If it’s small damage like a leak from one specific part of your roof, a simple repair will be sufficient. If it involves a huge part of your roof, and the same damage seems to keep coming back, however, replacing it entirely may be your best bet. How grave is the damage? If there are multiple areas leaking or if there are a lot of damaged areas that may cause the whole roofing system to fall into your property, then it might already require replacement. But if the damage is small and can be resolved by a simple patch-up job, then it simply needs repair. How difficult will it be for the repair (or replacement) to be done? As a general rule, the more complex the damage is, the more it should be replaced. Still, repair or replacement should be done by a professional, especially if you don’t know the extent of the damage. How much money are you willing to spare for fixing your roof? Definitely, roof replacement will be more expensive compared to roof repairs. After identifying the damage, this is when you need to figure out which route suits your budget. 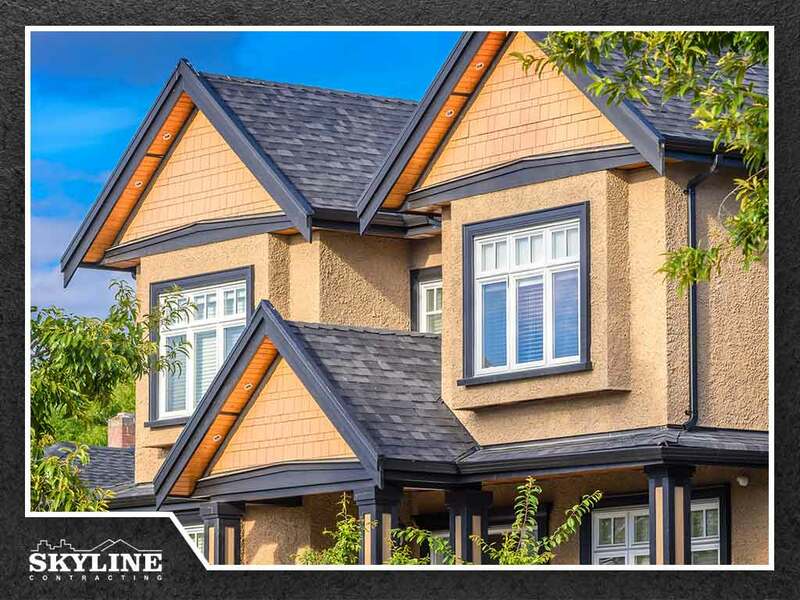 For all things roofing, including repair and replacement, contact Skyline Contracting, your trusted roofing company in Georgia. Call us today at (770) 561-0297, and let’s talk about how we can help you. We offer services to homeowners in Gainesville, GA.